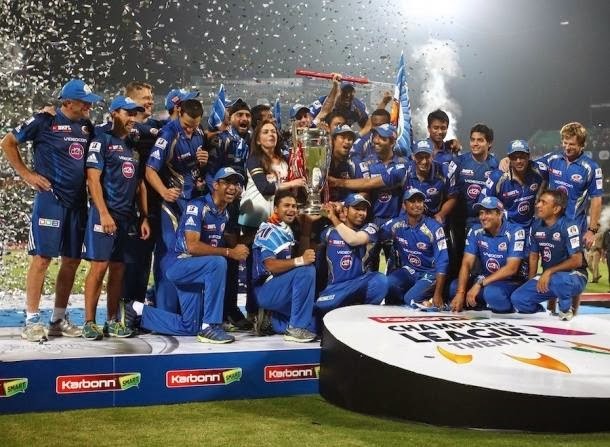 Mumbai Indians won the Champions League Twenty20 after beating the undefeated Royal Rajasthan in the finals. 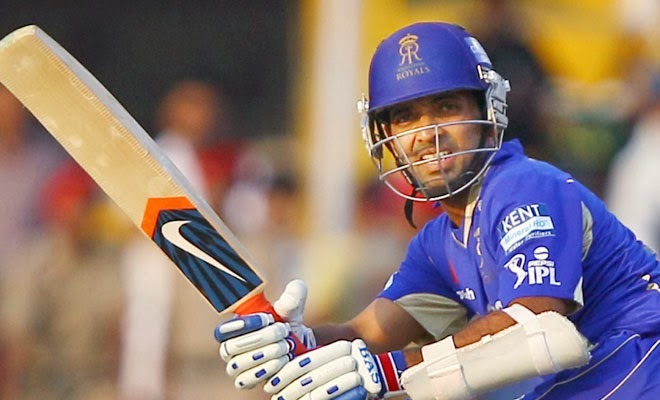 Harbhajan Singh bowling and the blasting performance by Rohit Sharma and Glenn Maxwell marked the victory for Mumbai. The toss had been won by Royal Rajasthan and they elected to field first. 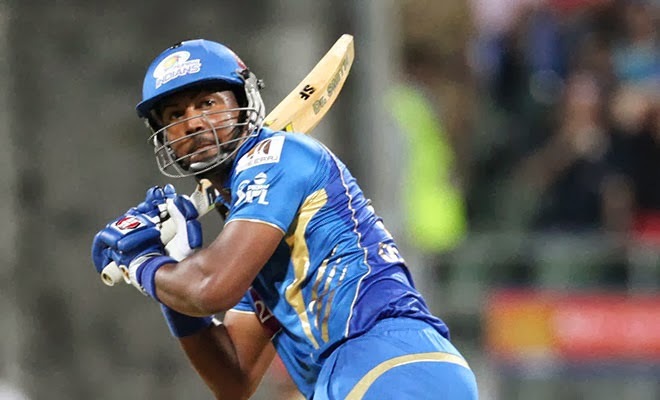 The opening batsman for Mumbai Indians were Dwayne Smith and Sachin Tendulkar. After these two palyers, great knock was made by skipper Rohit Sharma and Glenn Maxwell. They made fast scores and took Mumbai to make a total of 202. Outstanding performance at the final moments of Mumbai innings. At the end of 20 over, Mumbai made 202/6. In Rajasthan bowling, Pravin Tambe made a outstanding bowling again and took 2 wickets with the economy rate of 4.80.Whereas Faulkner, Shukla and Watson took 1 wicket each. Rajasthan came into the crease with the huge target of 203. Everybody were eager to watch the great chase. Rajasthan started their innings with Kushal Perera and Ajinkya Rahane. Unfortunately, Perera gone by run-out. Next to that, Ambati Rayudu made a outstanding play. Other Players got out of the crease in a single digit score. Even the skipper didn’t make a good play. Finally, Rajasthan innings came to end for 169/10 in 18.5 overs. In Mumbai bowling, Harbhajan made a outstanding bowling and took 4 wickets and that too, 3 wickets in same over. Next to him, Kieron Pollard took 3 wickets, Coulter-Nile and Ojha took two wickets each. Thus Mumbai won the CLT20 finals by 33 runs and lifted the cup. Man-of-the-match award was grabbed by Harbhajan for his outstanding 4 wickets. How was the match?